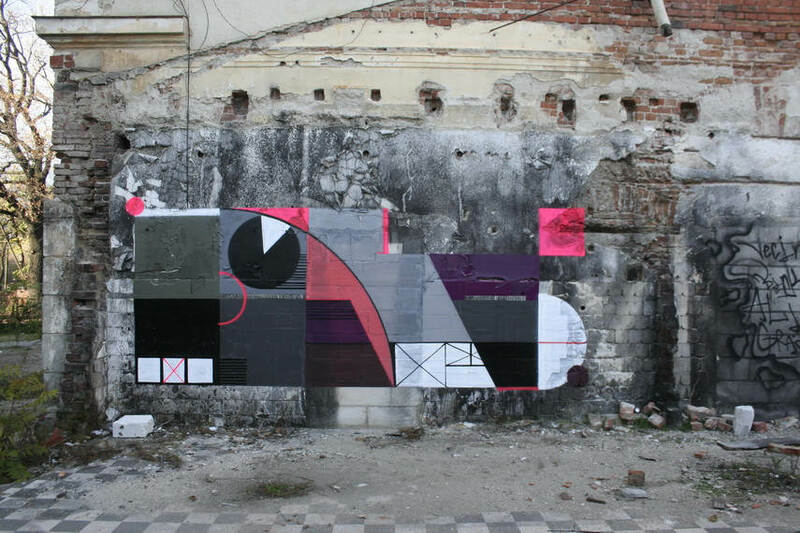 The fascination with geometric shapes and their relations framed the activity of Lost Optics and made him one of the leading representatives of Romanian graffiti scene. The combination of bright colors, specific lettering and peculiar modeling of the whole suggest the artists rather sophisticated aesthetical approach. The effect is followed by the selection of locations which are usually former industrial spaces. As a matter of fact, the compositions of Lost Optics are thought as a universe where letters are the main theme, usually represented as a labyrinthic structure. Lost Optics was born in 1986 in Bucharest. He started writing back in 2001, by using different names Seyr, Stol, Lost. Nevertheless, the artist career of his as an Lost.Optics started in 2010. Although never formally educated in arts, Lost Optics devoted himself to urban exploration especially in regards to abandoned and decaying spaces. Out there the artist was able to experiment with different surfaces and textures. Through the years, he had a number of group and few solo exhibitions. The style Lost Optics has developed is made out of basic geometric shapes to more complex ones with digital influences. During the years he sought out a constructivist, three-dimensional, labyrinthic style with symmetries, sharp and long lines that are crossing the composition. The letters are important and therefore connected within the whole image. Basically, each concept is deeply connected with his fascination of art movements like constructivism, minimalism, and op-art. The domains of painters like Vassarelly, Malevich, Mondrian, as well as of modern architecture effect Lost Optics’s work very much. 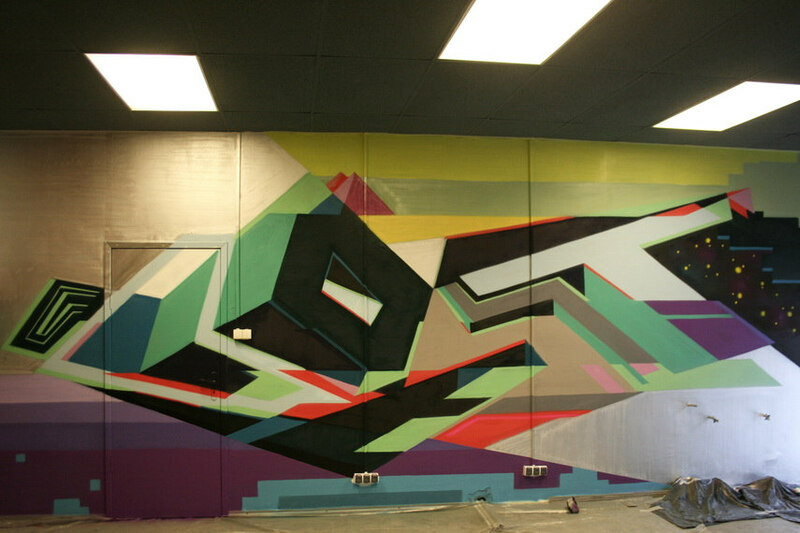 Therefore, the artist examines new shapes and perspectives in order to articulate styles that go beyond the classic graffiti, that are dynamic. The constant observations on geometry represent practically the initiation of the process of work, which has a lot of steps and different methods. First, the sketch is being prepared, further edited digitally and then drawn on the wall. That can differ from the surface so it is not a rule, and on the other hand, Lost Optics can easily perform freestyle. Outlines, complex three dimensional labyrinthic styles, minimal pieces and experimental pieces are often present on his works and suggest his playful imagination and artistic intuition. The circle plays an important role in his compositions since it is essentially unstable and dynamic and it is everywhere in nature. The practice of Lost Optics could be read well from the very context of the post-communist society of Romania. 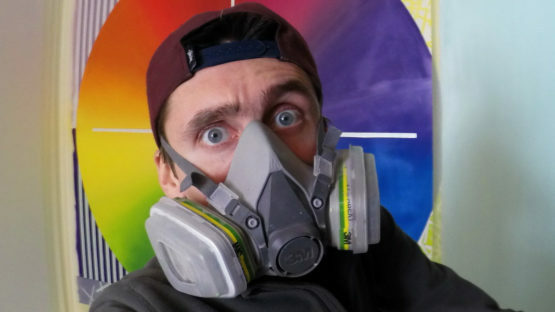 Since the artist was without the studio, he used the walls of abandoned factories to perfect the craft. Through various phases of experimentation, he found that geometry and especially the circle is the main element in his works. 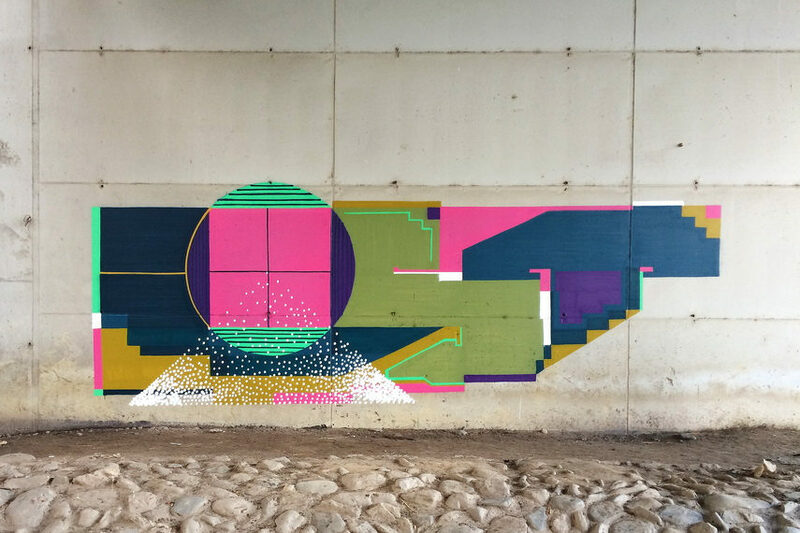 Certainly, the whole idea of building a scene came as a product of comradeship so, in 2010 together with Biex, Cage and Recis, the artist formed Sweet Damage Crew and in 2016 Optics Crew. 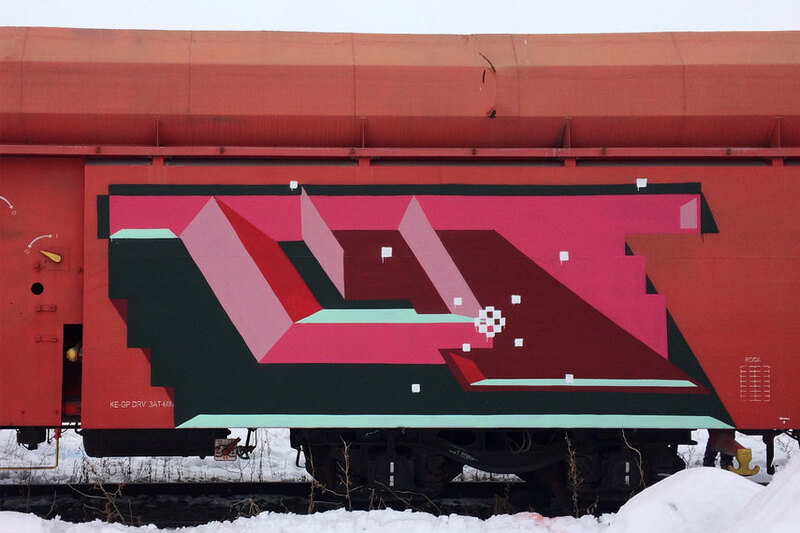 The career of Lost Optics is rising so he started drawing his peculiar geometrical gratifies in other European cities. Lost Optics lives and works in Bucharest, Romania.